23 This week is spirit week. Homecoming is this Friday, with the dance on Saturday night. 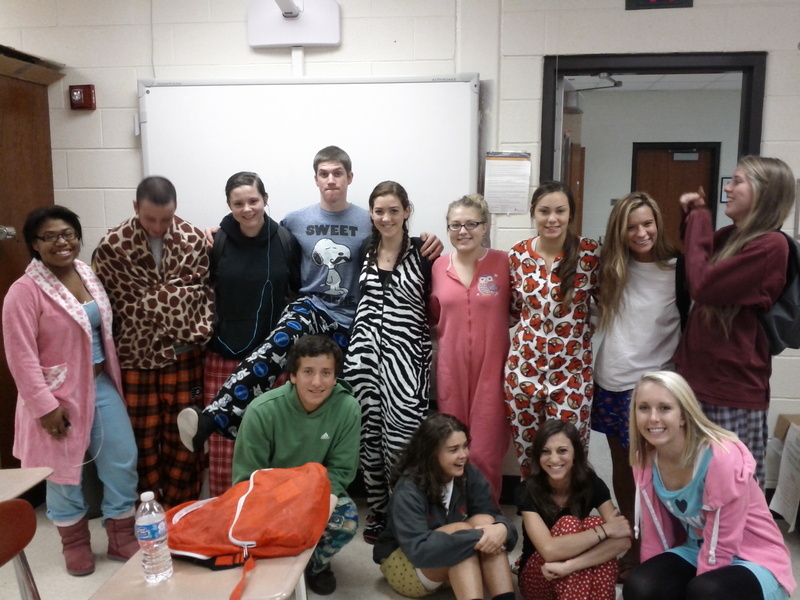 The monday of spirit week is ALWAYS pajama day. It is a tradition!